In 2007, Heather and I were making just under $100k per year. Pretty OK in the world view, right? You’d think so… but there was one major problem. We were living paycheck to paycheck. We had been living life as it happened, with absolutely no plan in place. Sound familiar? After a little soul searching, we decided that the monthly payments for “things” were a part of the problem, and that we had to take control. This, unbeknownst to us, was the start of an Epic Mini Life. It was the realization that while we were doing great on the income side, we’d fallen into the trap of unchecked consumerism. That changed. It took a couple of tries, there is an element of patience, but I think we’re certainly on the right path. Here are two resources that were instrumental in taking control of our lives, and the third is something to think about. First is Dave Ramsey’s The Total Money Makeover: Classic Edition: A Proven Plan for Financial Fitness . Without a doubt, following the “baby steps” changed our lives. The messaging in this book (about being weird, and doing things with money that are the opposite of “traditional”) helped us see that there is an alternative narrative. After following Dave’s financial messaging for many years, we’ve come to realize that the financial instruction was priceless. Second is Marie Kondo’s The Life-Changing Magic of Tidying Up: The Japanese Art of Decluttering and Organizing . This was more of a Heather thing, but it’s really helped her adjust to the idea of “less,” and the reality that things have an emotional element to them. She says “Thanking items for their time in my life was important,” and that allowed her to help them find a new place. A place that wasn’t ours. Third is taking back your life. This isn’t a simple concept because most of you will read this and say “Yeah, that’s not a problem for me!” Well, it most likely is, and more than you think. Where you are in life, the job, the commute, the “friends,” the things… for most these aren’t choices. These are the result of “default” decisions over the course of years. When I say “taking back your life,” I want you to really think about everything in your life, why it’s there, how it got there, and why it will still be there tomorrow. After serveral trips through this thought process, you may begin to see what I mean. 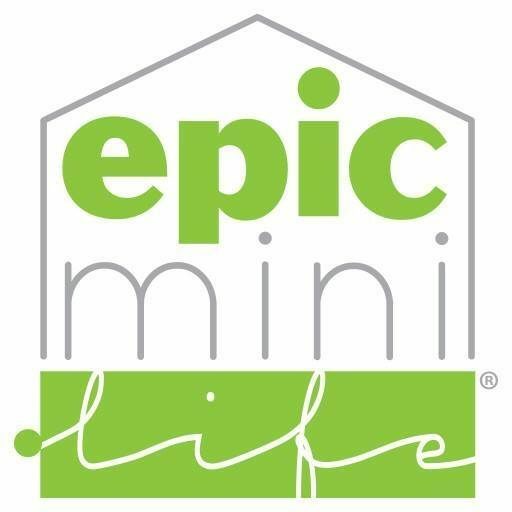 So how do these things relate to an Epic Mini Life? These three simple things will not only change the way you see life, and I mean everything in life, they’ll start to change the lens through which you see the world. Finances will no longer a mystery, and stuff is stuff, but being intentional with the things, and the people you choose to bring into your life will set you on the course to your own Epic Mini Life. So excited to live vicariously through this journey.